There are many branches of the military, including the army, the navy, the marine corps, and the coast guard, who all come together to keep both land and sea safe from threats. However, there is another branch that keeps an extra part of our lives safe: the U.S. Air Force. These brave men and women and perfectly trained to deal with any threats that come from the sky. There are currently more than 310,000 active people in the American Air Force, but they used to be classed as part of the army. For 40 years the Air Force and the Army were one unit. However, back in 1947, a new law separated the two. Now, they work together to help keep everything moving in the military. 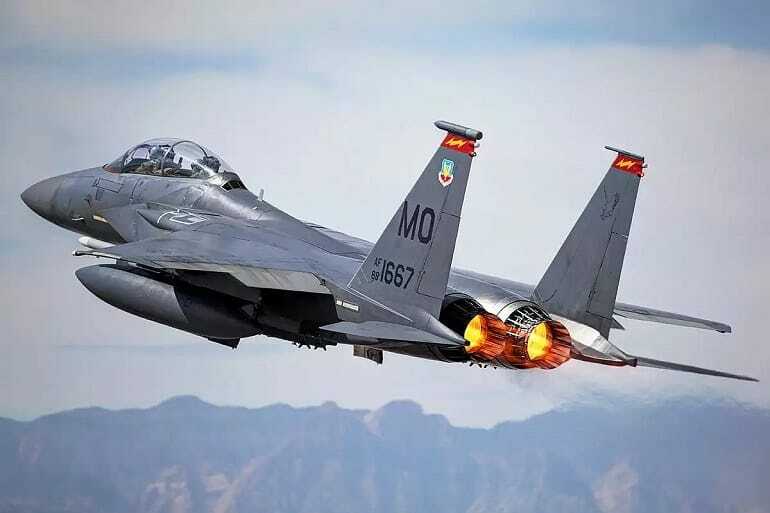 From taking military passengers all around the world to going head to head in combat, these members of the Air Force are some of the biggest threats in the sky to other countries. In fact, the U.S. Air Force is now ranked as the strongest of its kind. That’s quite the title! So what do these incredible men and women get to fly around in when they’re up with the clouds? 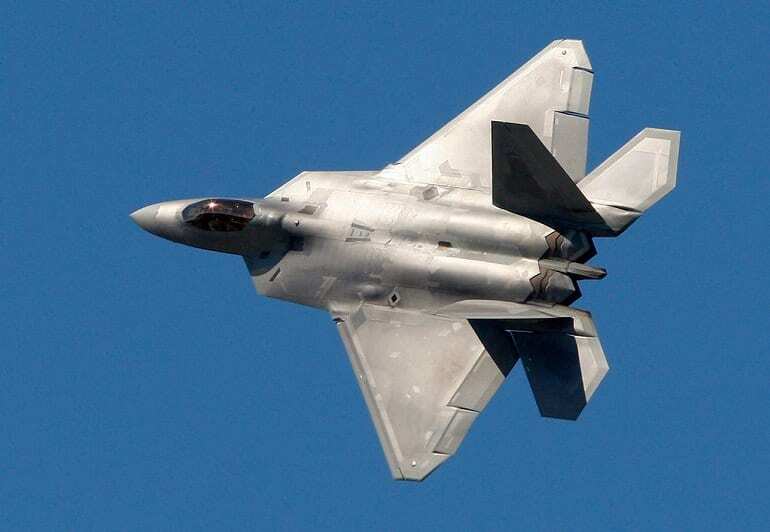 Thankfully, they have some of the top U.S. fighter jets of the year. 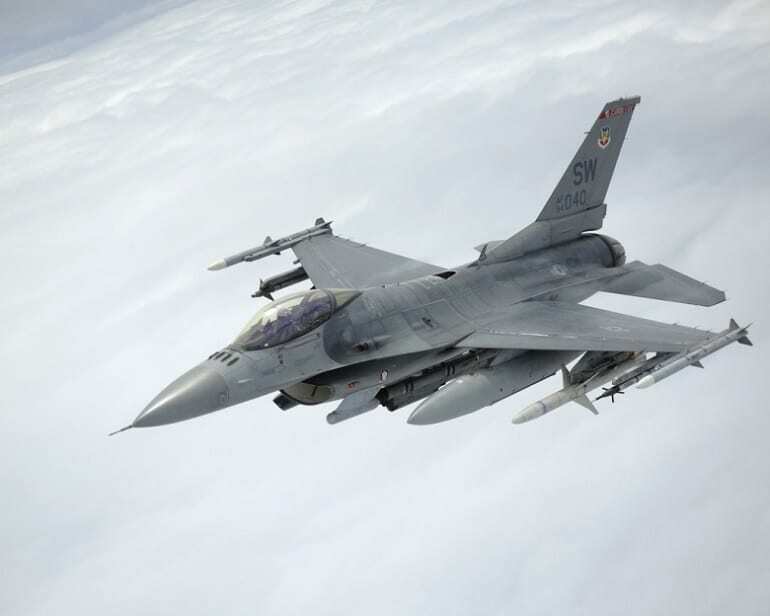 This isn’t just one of the most advanced fighter jets in the U.S. Air Force, but the F-16 Fighting Falcon is also one of the most popular choices all around the world. So what makes it so unique? 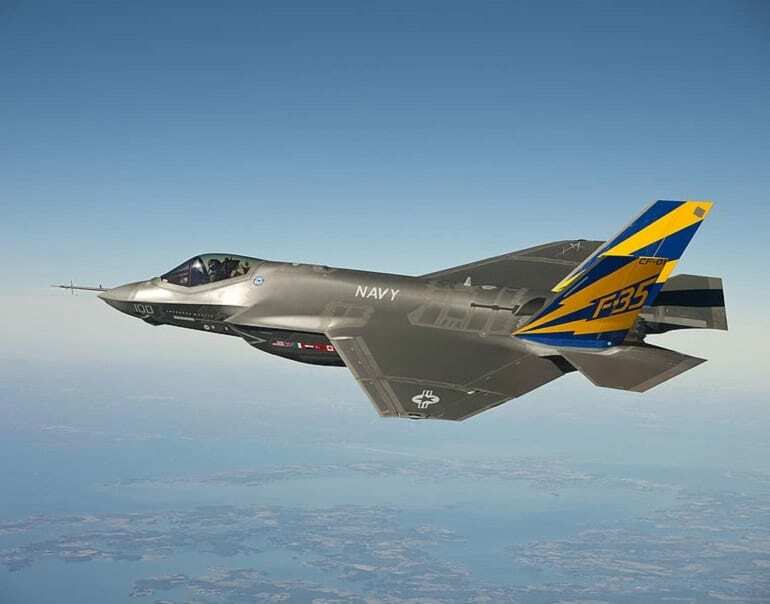 The aircraft is one of the most lightweight fighter jets as well as having a special armrest to give the pilot even more control than ever before. Plus, the Fighting Falcon can easily reach speeds of 900 miles an hour, or 1,470 kilometers an hour. As if that wasn’t enough, the plane is often referred to the “viper” thanks to its likeness to the venomous snake. Now if that isn’t menacing, then we’re not sure what is anymore. This incredible aircraft is thought to be the most capable of all the jets that the U.S. has in its stocks. 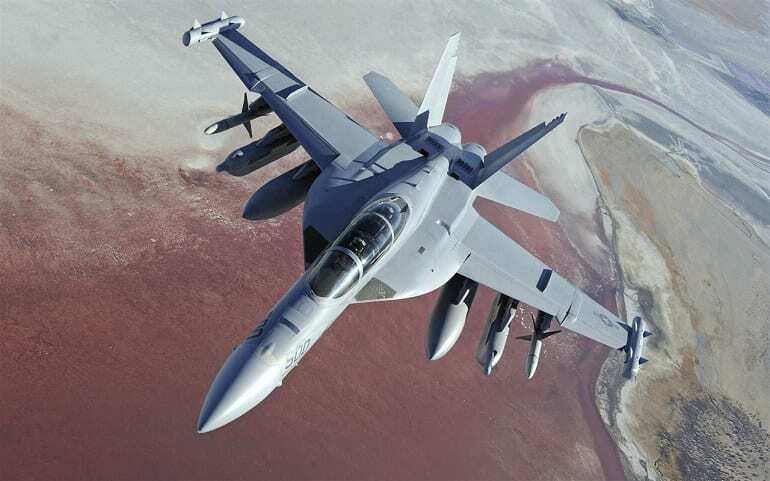 The Super Hornet is a step up from its predecessor, the F/A-18C/D Hornet as this new aircraft has been fitted with brand new engines, in addition to the extra space to carry even more missiles than before. Plus, the Super Hornet can fly further than most other fighter jets thanks to the larger gas tank. It is thought the aircraft should be able to perform any task put in its way thanks to its fast and nimble design. It is now one of the leading fighter jets in the U.S. Navy, and it looks as though it could be set to stay. The Lockheed Martin F-22 Raptor is so advanced that many of its top specs have been kept under wraps from the public, but that hasn’t stopped many from guessing at what could make this plane so great. The model was once a simple fighter jet. However, it has advanced to become one of the most superior threats in the sky thanks to the fact it is almost entirely invisible on radar systems. Plus, the engines on this aircraft mean it can cruise over long ranges without the worry of running out of fuel. 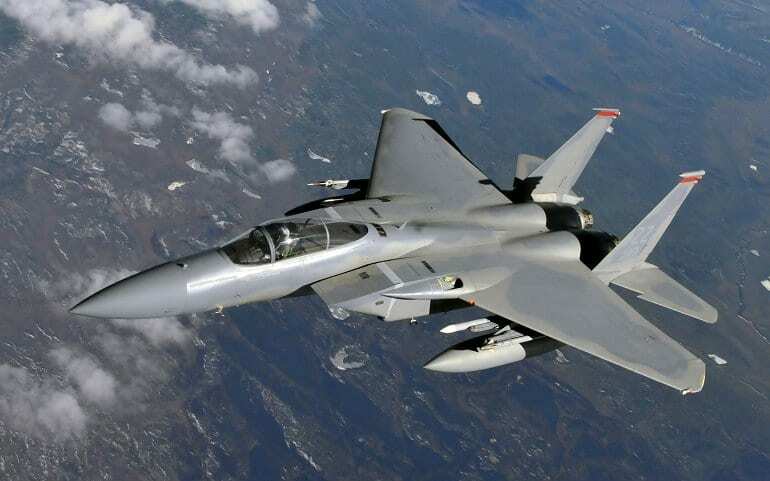 There might be a good reason that the Eagle is still at the top of the U.S. fighter jet list – it has been serving the military for the last 30 years. The Eagle’s primary job is to track down any threats that may be hiding in the sky. The way the aircraft does this is by using its extensive tracking system to detect any other planes in the area. Once it has locked onto a target, the Eagle then uses one of the many missiles on board to take down any threats. 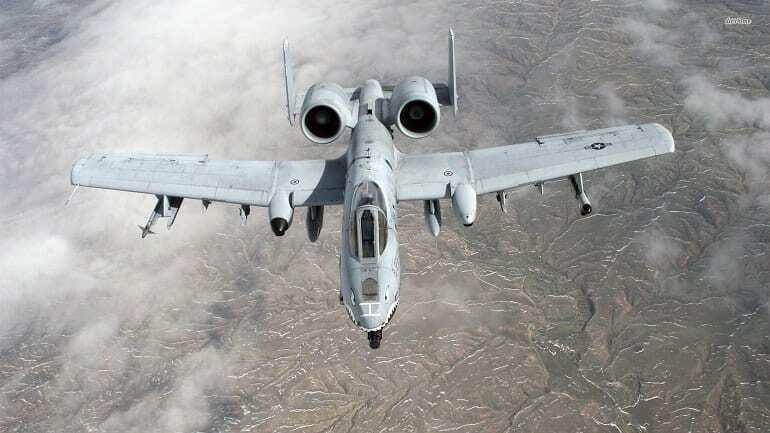 The Thunderbolt II, also known as the “Warthog,” is one of the leading fighter jets for many in the Air Force. The cockpit of the plane is surrounded by a titanium shell to keep the pilot safe while the outside of the aircraft is in charge with carrying the heaviest automatic cannon that has ever been used on a plane. Although it might be a beast of an airplane, the warthog is incredibly maneuverable even when it is flying slowly making it perfect for any occasion. This is a U.S. fighter jet that has been built with the future in mind as it thought the Lightning II will last until at least 2070. As if that wasn’t enough, the plane is also the first in the world that has achieved a vertical landing, making it the perfect choice for getting into all those tricky landing spots. The Lightning II is also reported to travel faster than the speed of sound once the engines open up – all of this from a plane that is one of the lowest maintenance aircrafts ever made. 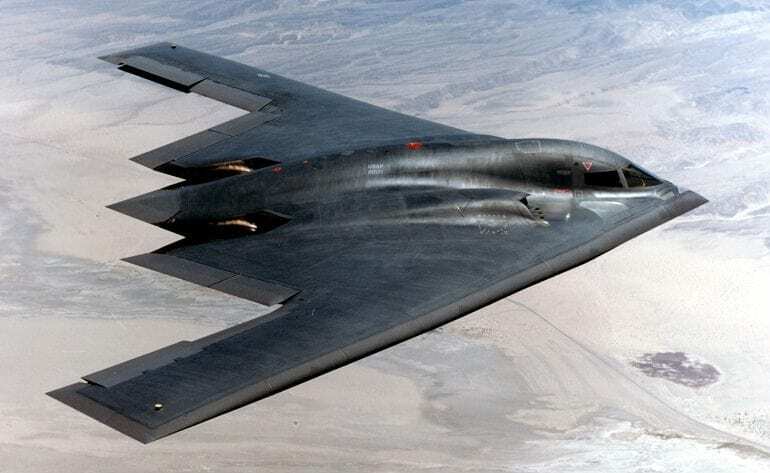 This aircraft is often referred to as the “Stealth Bomber” and with good reason. The plane has been designed to go entirely unnoticed in the air while also carrying some of the most dangerous missiles available. The Spirit is also able to fly close to the ground meaning that a lot of the noise is masked by the terrain below. Now, we are left with a plane that looks straight from space and will appear as a mere pigeon on a radar. The F-5 Tigershark has been designed with keeping weight low throughout the entire process. These means it is both fast and agile – two perfect traits for any top fighter jet in 2018. However, the Tigershark’s popularity means it has also become the top choice for many countries around the world. Inside, only one pilot can fit into the heavily controlled cockpit that has everything from air conditioning to an emergency escape button. Their maneuverability has also made the Tigershark one of the top choices for training. The Strike Eagle soars, and the Strike Eagle attacks as this aircraft is all about taking down any enemies that stand in its way. The plane is fitted with detectors that work over long ranges. This means it can pick up both targets on the ground and in the sky regardless of how high they are. In true futuristic style, the pilot even has a heads-up display made of transparent glass that projects all the stats of the plane. This is especially useful when using the inbuilt radar to fly at low levels. 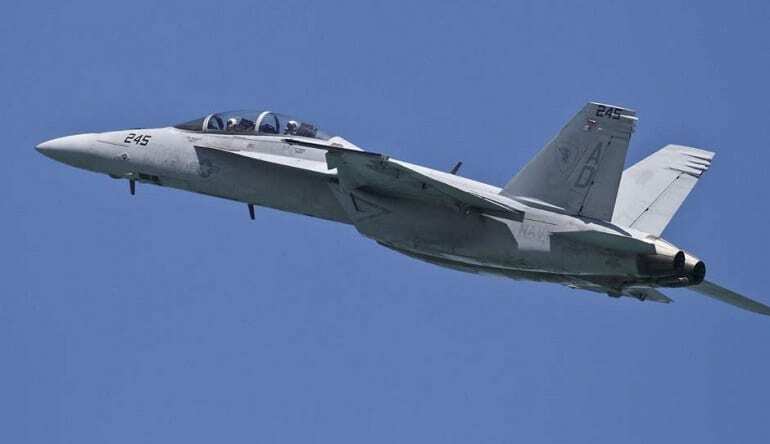 This U.S. fighter jet is set to replace some of the older models within the navy thanks to its incredible defense skills in the air. The aircraft has been updated to withstand catapult launches, meaning it can be fired from the back of a ship at sea. Plus, the Lightning II has much broader wings than any of the previous models making it a more stable fighter jet. To make it even better, the wings are designed to fold in making it a brilliant choice for sending to a navy ship. The Hornet makes a return. Although there are updated versions of these planes being used in the U.S., the original Hornet is still a popular choice amongst the navy. It might not have the biggest carrier load, but this aircraft is noted for its impressive skills in the sky as it defends any attacks. The Hornet is also a multirole jet meaning that it is designed to perform more than one task in the military. For the Hornet, those are to attack any threats as well as fighting off any enemies. It isn’t just America that is at the top of the armed forces; many other countries are hot on their tail to take the top spot. In Russia, the Su-57 is considered to be one of the top fighter jets in the world. It was once thought the plane was going to be used for its stealth in the skies, but the military also discovered it was perfect for making any ground attacks, too. Although the aircraft might be behind the competition, it does have built-in guided bombs that make it a threat to anyone. 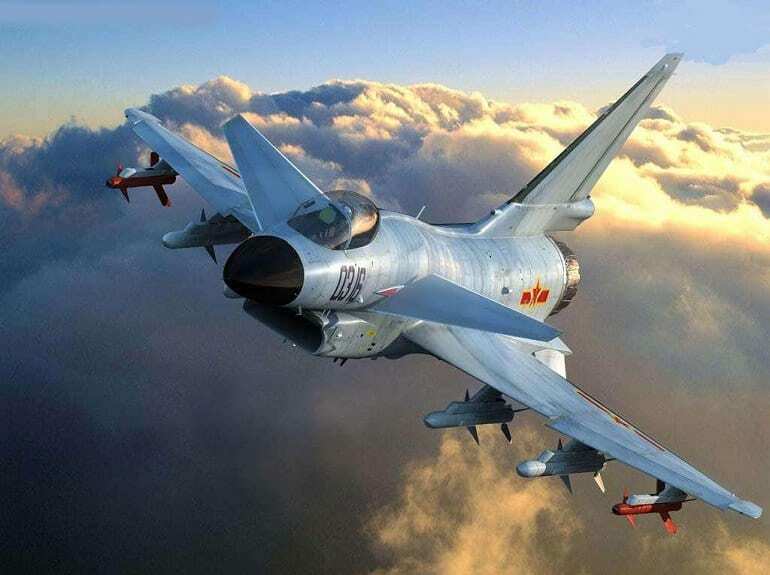 This is one of China’s newest fighter jets for 2018 and is capable of some pretty incredible things. 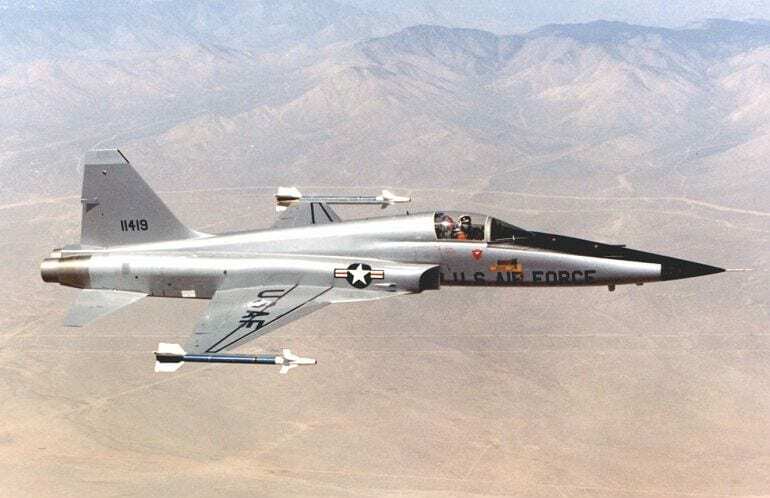 This jet is a long-range fighter meaning it can detect targets even at long distances, as well as having to internal weapon bays in addition to two smaller bays where they short-range missiles for use in the air. The missiles stored in the bays are also specially designed to ensure they aren’t detected on radar systems making this aircraft a real threat in the sky. 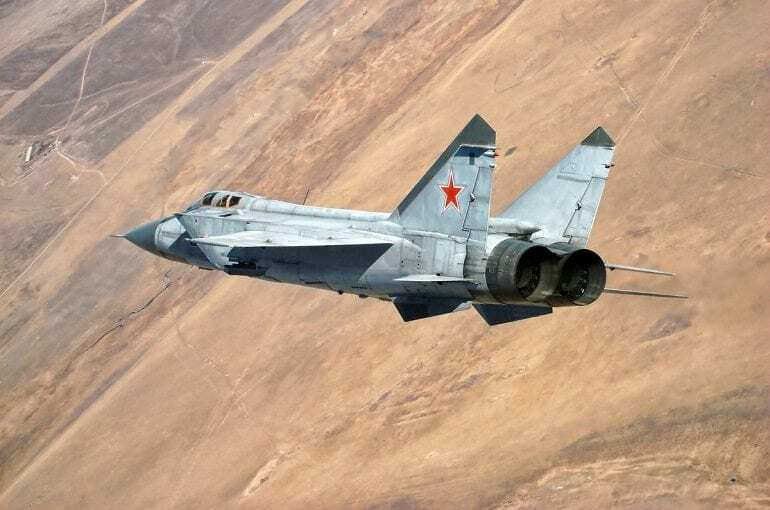 Russia takes another place on the list for top fighter jets of 2018 thanks to the Mikoyan MiG-31BM. The first plane in the range was released in 2010, but 2017 saw the airship have a major overhaul. Now, the Mikoyan is capable of finding and destroying targets from long ranges as well as climbing high into the sky faster than most others on the market. To top it all off, this aircraft is the fastest fighter jet as it can reach speeds of up to 1864 miles per hour, or 3000 kilometers per hour. When the rest of Europe refused to come together to develop a top fighter jet for 2018, France took the task upon themselves. The result? 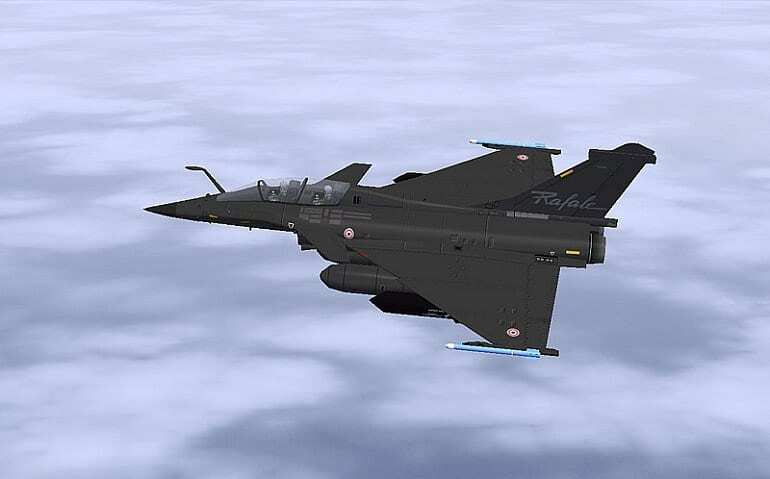 The Dassault Rafale. The name roughly translates to “burst of fire” which may give a clue as to the incredible capabilities of this aircraft. The French now have a jet that can track up to 40 different targets at once while shooting at four targets at the same time. The plane has now been taken on by militaries all around the world, including those in Egypt and India. 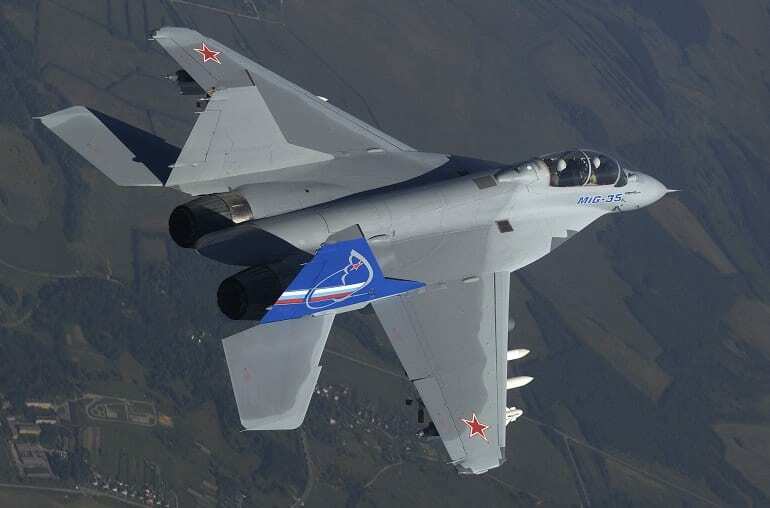 The Russian air force took this aircraft on back in 2012 to replace some of their older models. This aircraft is quick and nimble meaning it comes into its own during close-range combats. As if that wasn’t enough, the Su-35 can carry up to 17,600 pounds, or 8,000 kilograms, of weapons on the along the many mounts on its wings. The aircraft can also reach supersonic speeds without the need for an afterburner. This saves on fuel to keep the plane in the air for even longer. 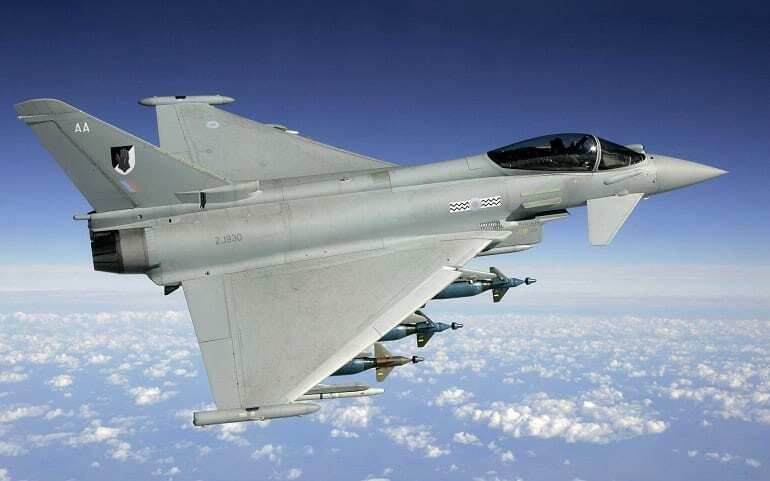 Spain, the UK, Italy, and Germany have all teamed up to create the legend that is the Eurofighter Typhoon. The aircraft is a multi-role combat plane that comes fitted with top missiles that can fire to ranges well past where the pilot can see. In fact, this fighter jet is so advanced that it can’t be flown by a human alone; they have to rely on a computer throughout all parts of the flying. Working together, the pilot can reach speeds faster than the speed of sound. 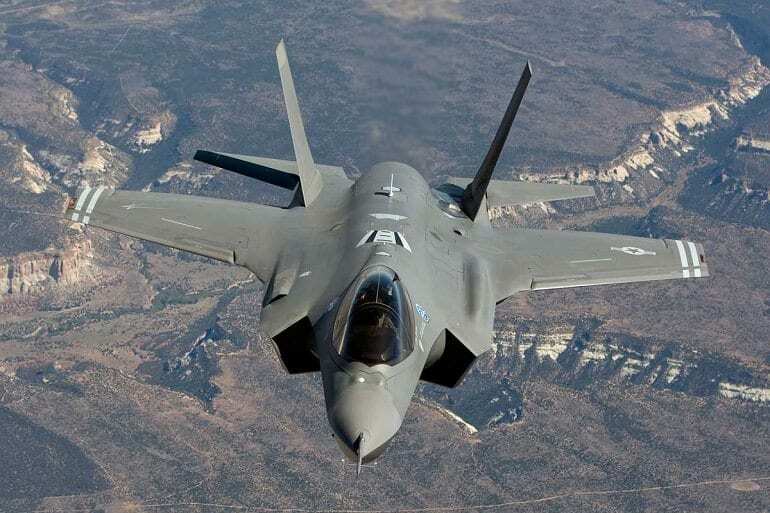 This is argued as being one of the top fighter jets of all time since its development back in the 1980s. 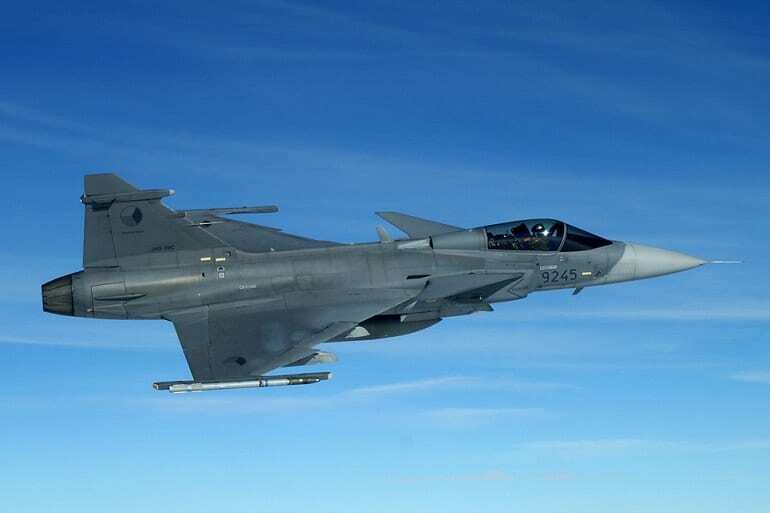 Sweden has been working hard to keep up with the competition ever since, and now have the Gripen as part of their air force fleet. It is designed to be both lightweight and agile in the air, as well as having the ability to refuel without landing. Plus, the Gripen is designed to take off and land in the smallest of spaces making it an incredibly versatile aircraft for any air force. 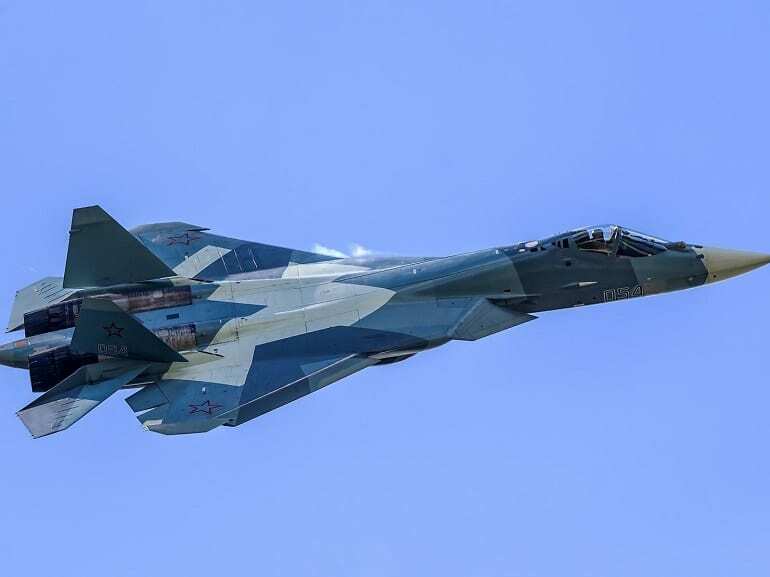 This is one of Russia’s newest fighter jets on the market that has been upgraded from many former models. It is a medium-weight aircraft meaning it can carry a lot more weaponry that can be fired in all kinds of weather conditions. 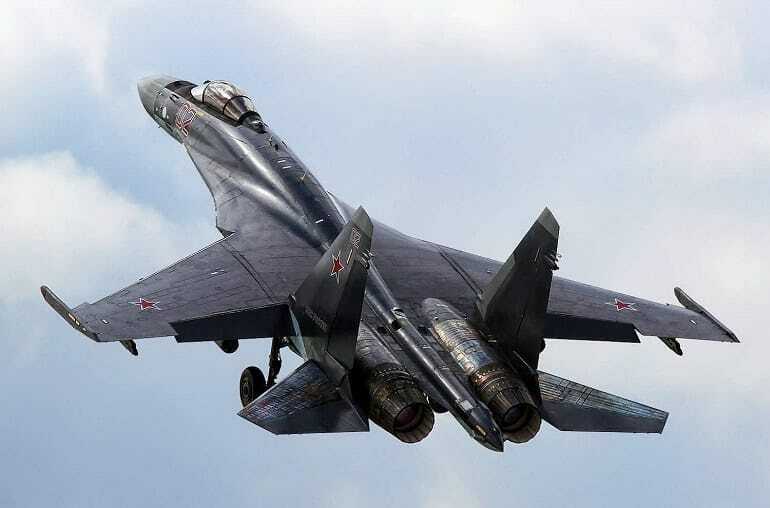 The radar system allows the MiG-35 to track up to 30 targets at once that can be as far as 100 miles (160 kilometers) away in the air, or 186 miles (300 kilometers) away in the water. 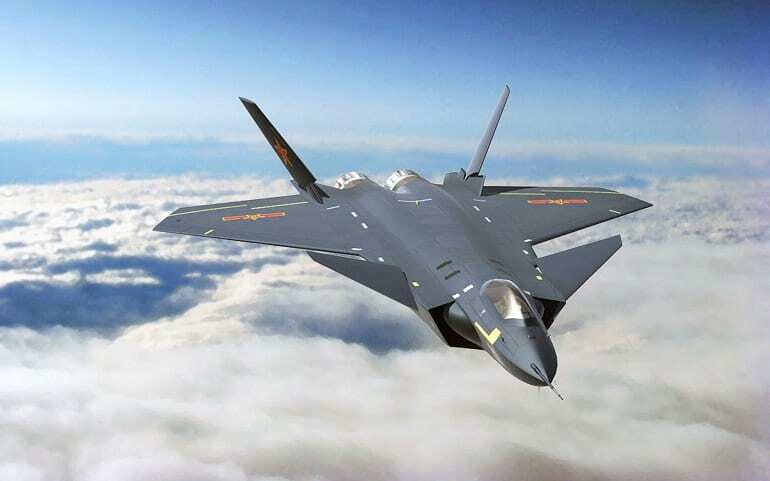 The Chinese air force has been working hard to keep their plans for the Chengdu J-10 under wraps, but the lid has been lifted since it has taken to the sky. The aircraft has eleven external hardpoints for weapons that include unguided rockets, free-fall bombs, a cannon, and even laser-guided bombs. Although it is one of the top fighter jets of 2018, the Chengdu J-10 hasn’t yet caught up to the likes of America with speed and maneuverability.